Become qualified to receive sanction for test documents in high voltage applications with this course. Book your place on our High Voltage Sanction for Test Receipt Authorisation training course today by filling in our online booking form to the right, or by calling the team directly. This course is designed to enable those who are required to carry out testing on high voltage equipment to become authorised to receive sanction for test documents relating to safe practiceses and legislation applicable to high voltage power systems up to – and including – 15kV. 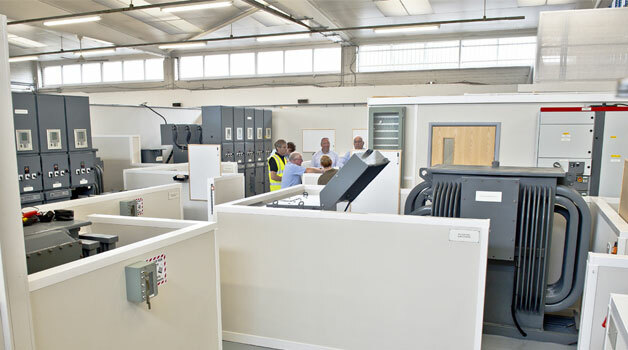 At our high voltage training centre, you’ll take part in a mix of theory and practical exercises designed to give you the skill level required to receive sanction for test documents. Please note that this course is not designed to train you in various types of testing (for example primary/secondary injection or pressure testing); the course is designed to purely become authorised to receive sanction for test documents. You should have prior knowledge of the inspection, operation, maintenance and repair of high voltage electrical power systems. This course takes place in Stockton-on-Tees in North East England at our high voltage training centre.